Lead is unusual among drinking water contaminants in that it seldom occurs naturally in water supplies like wells, lakes, and rivers.Lake Michigan contains no detectable amounts of lead. Lead enters the drinking water primarily as a result of corrosion, or the wearing away of materials containing lead in the consumer’s household plumbing and rarely from water in a utility’s distribution system. These plumbing materials include lead based solder used to join copper pipe, brass and chromium plated faucets, and lead service lines connecting the home to the water main. Being an older community, nearly 11,000 lead service lines still remain in use in Racine’s water distribution system. In 1986, the U.S. Congress banned the use of lead service pipe, lead solder containing greater than 0.2% lead, and restricted the lead content of faucets, pipes, and other plumbing materials to less than 8.0%. When water stands in lead pipes or plumbing systems containing lead for several hours or more, the lead may dissolve into your drinking water. This means the first-draw water drawn from the tap in the morning, or later in the afternoon after returning from work or school, may contain fairly high levels of lead. Lead is a common metal found throughout the environment in lead-based paint, air, soil, household dust, food, and certain types of pottery, porcelain, pewter, and water. Lead can pose a significant risk to your health if too much of it enters your body. Lead builds up in the body over many years and can cause damage to the brain, red blood cells and kidneys. The greatest risk is to young children and pregnant women. Amounts of lead that won’t hurt adults can slow down normal mental and physical development of growing bodies. Children can show slight deficits in attention span and learning abilities. Adults, over many years, could develop kidney problems or high blood pressure. In addition, a child at play often comes into contact with sources of lead contamination – like dirt and dust - that rarely affects an adult. It is important to wash children’s hands and toys often, and to try to make sure they only put food in their mouths. Lead in drinking water, although rarely the sole cause of lead poisoning, can significantly increase a person’s total lead exposure, particularly the exposure of infants who drink baby formulas and concentrated juices that are mixed with water. The EPA estimates that drinking water can make up to 20% or more of a person’s total exposure to lead. You cannot see, taste, or smell lead in drinking water. Because of its properties, lead has been used in car batteries, paint, fishing sinkers, gasoline, bullets, and thousands of other applications. Lead’s use had been documented back to 6400 BC. Lead poisoning was known in the ancient societies of Rome, Greece, and China. Never cook or drink water from the hot water tap. Hot water can dissolve lead more quickly. If you need hot water, draw from the cold water tap and heat it on the stove. Flush your tap. If the water has been unused for 6 hours or more, higher levels of lead may be in the water. By flushing the water, fresh water from the water main will be drawn into the home plumbing. This water contains no lead. Flushing usually takes 15 – 30 seconds and about 1-2 minutes if the service line is made of lead. Flushing the tap is a simple, inexpensive, and effective way to reduce exposure to lead. Flushing twice a day costs about 50 cents per month. Remove loose solder and debris from the plumbing materials installed in newly constructed homes, or houses with recent plumbing modifications. Periodically remove faucet screens and aerators and clean out any grit or debris. Determine the material of the service line by contacting the local water utility. Records of construction materials are kept. Hire a licensed plumber to inspect the service line and the interior home plumbing. Check the home wiring. If the grounding wires from the electrical system are attached to the water piping, corrosion could be greater. Check with a licensed electrician to determine whether wires can be grounded in an alternative fashion. Purchase or lease a home treatment device. Reverse osmosis and distillers effectively remove lead from drinking water. Purchase bottled water for drinking or cooking. In 1986, the US Environmental Protection Agency promulgated the Lead and Copper Rule mandating large water utilities to begin corrosion control treatment in order to reduce lead and copper concentrations at the consumer’s tap. 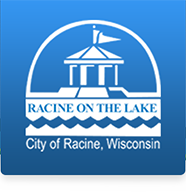 The Racine Water Utility (RWU) began this treatment in early 1993 using a blended phosphate. This chemical lays down a thin film on the inside of pipes and plumbing fixtures to limit the interaction of the pipe material with the water. The Lead and Copper Rule also set limits of 15 parts per billion for lead and 1,300 parts per billion for copper in the consumer’s first-draw water. If more than 10% of the samples had higher levels of either of these metals, the water utility would be out of compliance. Since 1993, the RWU has been in compliance except for a period of 2004-2007. The RWU conducted investigations and changed chemical formulations of the corrosion inhibitor in an effort to bring the system back into compliance. Beginning in 2008 and continuing through the present, the lead levels have been reduced significantly and the Utility is in compliance with the Lead and Copper Rule. The RWU has never exceeded the copper action level. Much information exists on lead, lead in the environment, lead health effects, and lead and drinking water. Below are a number of contacts the public can use for education, information, and water testing.